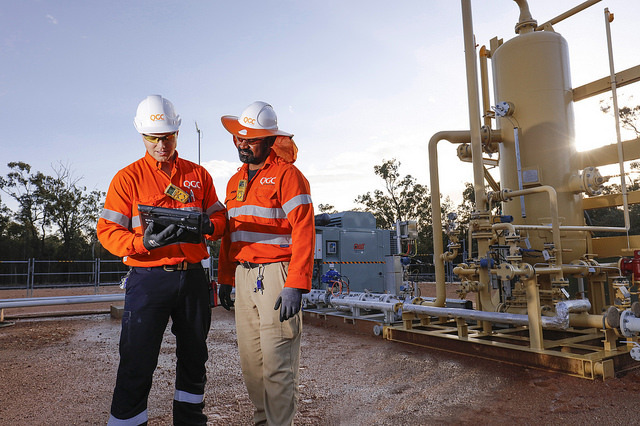 One of the nation’s natural gas operators is making a major investment in the Surat Basin’s gas fields, creating hundreds of jobs in the process. QGC recently announced a new program for gas field development at the Ruby Gas Project in Central Queensland. In a joint venture between QGC and Shell Australia, more than 160 gas wells will begin to be drilled later in 2017. “This is the next significant milestone in the QGC project and a further vote of confidence in Queensland’s onshore gas industry. We are proud to be investing in regional Queensland, creating jobs and securing gas supply for domestic and export customers into the future,” Shell executive vice president for Australia and New Zealand Andrew Smith says. The project will sustain QGC’s gas production as older wells come off peak production, securing 350 new and existing jobs during the 16-month peak construction period. State Minister for Natural Resources Dr Anthony Lynham reveals there has been ongoing investment in Queensland’s $70 billion coal-seam gas (CSG) and liquefied natural gas industry. Studies cited by the State Government have found for every local person working directly in the CSG industry, a further three new indirect jobs are created within the Surat region. Do you know about the company recruiting.